Next week Cameron Tiede will be releasing his newest wood figure, Cameron! 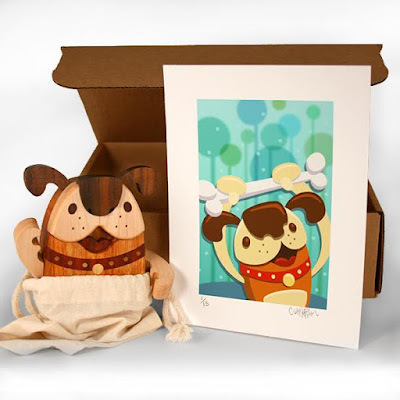 This adorable wooden pup will be available in two colorways, Chocolate and Rusty, exclusively at the Wood Candy Workshop on Thursday, November 10th. Keep check back to this post and The Blot Says to find out more about this exciting release! UPDATE: Both Grizwald colorways will go on sale at 6am CST tomorrow, Thursday, November 10th, at the Wood Candy Workshop online store. 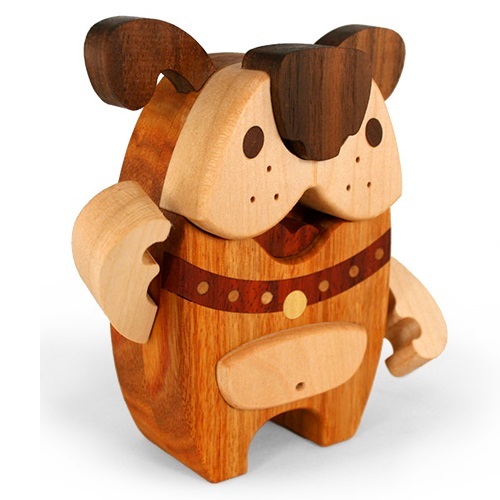 Grizwald stands 4.75” tall, features inlaid details and is hand rubbed in satin oil and topped off in beeswax, and comes bagged in a muslin sack. The Rusty colorway ($149) is limited to just 15 pieces and includes a 6”x8” limited edition hand signed and numbered giclee print on 260 g/m2 velvet paper. The Rusty Grizwald’s body is made from Canary wood with additional parts made from Walnut, Maple, Padauk and Yellow Heart. 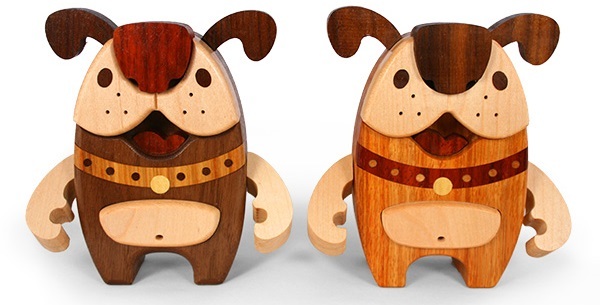 The Chocolate colorway ($129) is limited to 36 pieces, and features a body made from Walnut with additional parts made from Maple, Padauk, Canary, and Yellow Heart.